Popularized by Oprah, the Dr. Oz Diet hit the mainstream hard and fast. You may have heard of Dr. Oz from his original RealAge publications, which branched into the diet environment. If you wonder who Dr. Oz is and what his prescription for diet entails, you have come to the right place. Mehmet Oz is a Harvard graduate, receiving his medical degree from the University of Pennsylvania. He is a professor and vice chairman of surgery at Columbia University in New York. He is also the medical director of the Integrated Medicine Center and director of the Heart Institute at New York Presbyterian/Columbia University Medical Center. He is best known for his series of books known as the "You" series. 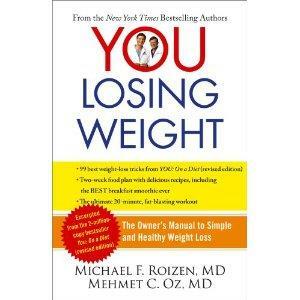 He works closely with Dr. Michael Roizen, especially on his book projects. 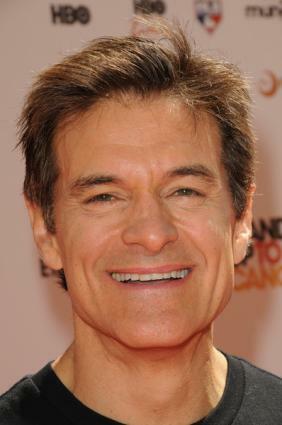 Dr. Oz and Dr. Roizen have made a number of television appearances on major network shows, including Oprah and Good Morning America. Weight loss is not the main theme of the Dr. Oz Diet. Instead, the program is focused more on overall health and disease prevention than weight loss. This is monitored by waist circumference, while the number on the scale is much less important. According to Dr. Oz, an ideal waist size for a 30-year-old female is 32 ½ inches and 35 inches for a 30-year-old male. The reason for the emphasis on waist size is because fat tissue in the abdomen area is a key determinant to many risk factors for medical conditions such as heart disease, stroke, and diabetes. The diet promotes healthy lifestyle habits focusing on nutrition, fitness, and a healthy mind. This is not a quick fix diet to shed 10 pounds in a week. It is not about getting into skinny jeans. Rather, it is about providing you with information on how your body works in hopes that supportive choices will be made toward nurturing your body to its optimal capacity. As an end result, excess body weight will be lost. Dr. Oz's medical expertise shines through in his diet plan. It is heavily based on physiological workings of the body, particularly how brain, hormones, stress, genetics, muscles, and stomach use, store, and burn fat. With this knowledge under your belt, you will have a greater understanding of why you are gaining or maintaining your current weight. The diet is not too strict, which is a welcome addition to the heavily saturated world of fad diets we live in. Dr. Oz's guidelines promote healthy habits and will make you feel better in the long run. Patience is definitely something to familiarize yourself with when following his program as weight drops slowly in a healthy manner.